Melbourne: Virat Kohli made a quick transition from cricket to tennis to meet with Roger Federer and watch Novak Djokovic in action at the Australian Open on Saturday. 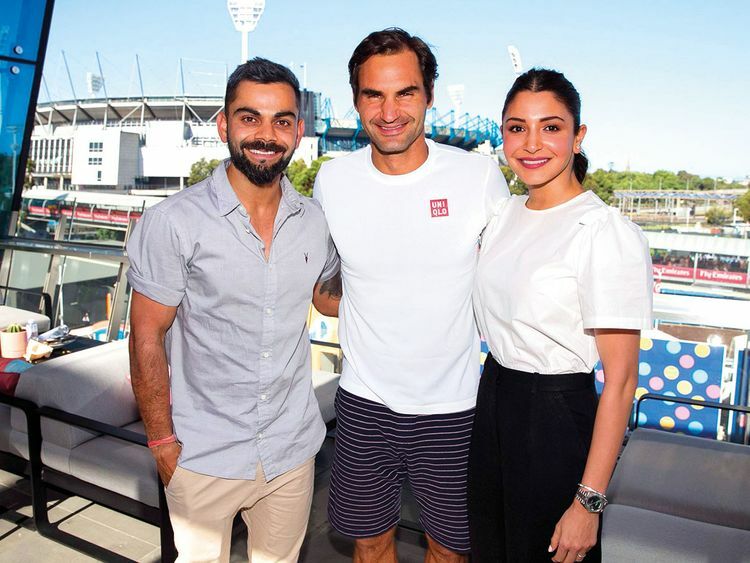 He and his actor wife Anushka Sharma posed for photographs with Federer, and watched in the VIP section on Rod Laver Arena when top-ranked Djokovic beat Canada’s Denis Shapovalov in the third round. Meanwhile, Australia fast bowler Josh Hazlewood has been ruled out of the Test series against Sri Lanka due to a back injury, Cricket Australia (CA) said. Jhye Richardson, uncapped at Test level, has been called into the squad in place of Hazlewood, who has taken 164 wickets in 44 Tests. “Josh has reported some back soreness over the last few days and scans have revealed a very early stage stress fracture in the same lower back area as his previous injury from last summer,” CA physiotherapist David Beakley said.